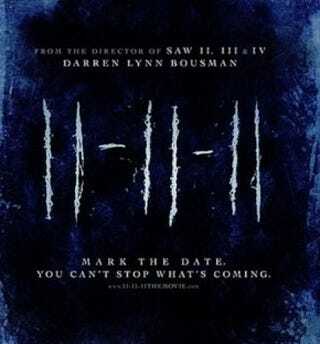 On the 11th month of 2011, on the 11th day, 11th hour and 11th minute, the supernatural will rule the Earth. Darren Lynn Bousman (Repo!) is bringing that prophecy to life in a new film. See the first concept art. So Ivy, Spain and a mysterious 11th door is all we have to go on for now. The release date is the same as the title. And there's more concept art over at Twitch film.